Composting utilizes the natural processes of decay. It converts organic materials into a valuable material called compost. Compost is basically decaying organic material such as leaves or food scraps. It is also full of microorganisms and adds organic matter and beneficial organisms to the soil. For this reason, it can be used as plant fertilizer. Many organic materials can be used to create compost. Some of the more popular materials that are used to make compost are leaves, kitchen scraps and grass clippings. Sea shells, tree bark, straw and hay are often used as well. 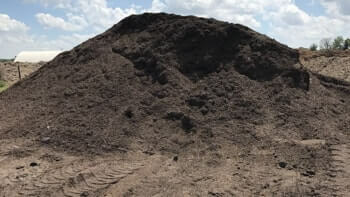 The compost is usually mixed with dry or brown material and wet or green material. It is typically sprayed with water and then left in piles or containers in order to decompose. Because air movement is important to the composting process, it’s best to turn the pile occasionally. Decomposing compost should be moist but not overly wet. It can take anywhere from a few months to a year (or more) to complete the process. This would all depend on the type of composting system you are using. Actively decaying compost temperatures can range from 120-160 degrees Fahrenheit. Compost is not considered properly done unless it has reached these high temperatures long enough to sterilize weed seeds and eliminate harmful bacteria found in some manures. Many compost guides discourage composting animal products. Kitchen scraps such as compost meat, bones, fat, egg shells are organic but they contain unhealthy bacteria and can attract unwanted attention from some animals. What Are the Benefits of Compost? It’s the microorganisms in compost that make it so powerful. Millions of microbes go to work in the soil. They cycle nutrients and make them available to be absorbed by the plant. When mixed with soil, compost essentially becomes natural fertilizer. Compost is healthy food for your lawn and plants! 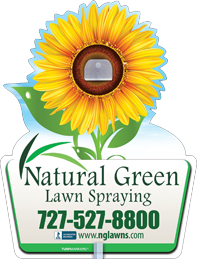 It promotes a hearty root system that will give you a beautiful, green lawn. Check out these compost benefits! When soil is too loose and sandy or hard and clay-like, roots have to fight to get through and absorb the nutrients they need. Adding the right amount of compost has immediate and long-term positive impacts on the structure of the soil. It adds humus proteins . These proteins bind soil particles together which allows the soil to resist being compacted and increases its ability to retain moisture and nutrients. The decomposition process of compost produces the best fertilizer you’ll ever find made of a community of organisms, from earthworms to bacteria. All of these organisms will improve the vitality and appearance of your greenery. The organic matter in compost also brings essential nutrients to your yard in the form of minerals and other elements. Some of these include nitrogen, potassium, phosphorous, copper, iron and zinc. Fertile soil retentions more water which allows you to use less water. By adding organic matter soils are better equipped to hold water and resist compaction, erosion and runoff. Did you know that soil with at least 5 percent organics holds 80,000 more gallons of water per acre after the addition of compost? Soil that contains compost usually has fewer pest problems. Unhealthy, weak soil lacks the the strength to stop the spread of plant diseases. Compost helps to control diseases and insects that might attempt to takeover a lawn or plants. Our clients will get two maintenance applications of compost each year when enrolled in our monthly plan. The compost is put down in order to feed their turf but it also feeds the ever-important microorganisms. Whey they eat the compost, they break it down even further thus creating really great nutrients for the turf. This also helps the soil hold water better and creates the perfect environment for the microorganisms to multiply. We can also do one-time compost application as needed. With new clients, at times we might recommend a one-time start up application of compost if their soil and turf are really in need. This is not included in the monthly plan however.